Striking ruthlessly out of the night, the Ghost Riders are the most brutal band of outlaws ever to plague Texas. Leaving death and devastation behind them, they raid town after town, slaughtering, looting, and burning. Dressed in white robes that conceal their identity and seemingly unharmed by bullets, the Ghost Riders may not even be human! Bestselling author James J. Griffin returns with his most epic novel yet of the Texas Rangers. 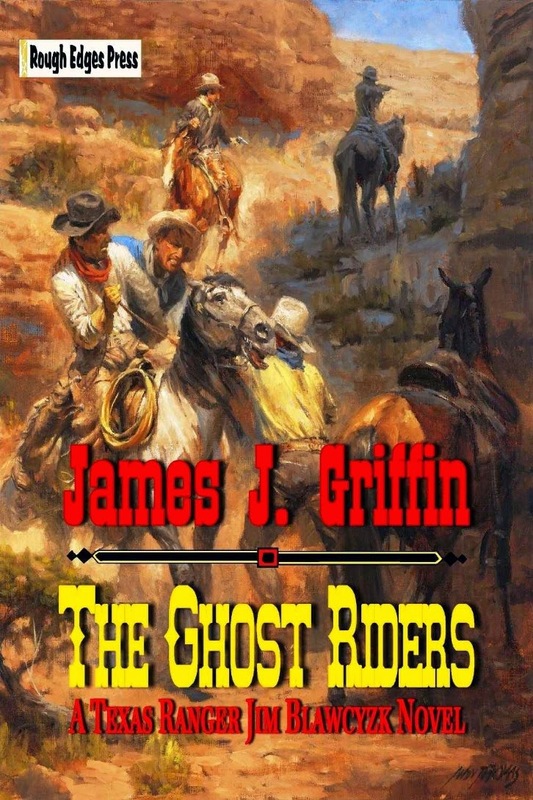 THE GHOST RIDERS is thrilling, authentic action from beginning to end and sure-fire entertainment for Western readers. I ordered the Kindle edition. This is the wildest Jim Blawwcyzk yet. Thanks, Cap'n Bob. And I will get my zine off in time.